In American Association Daily, Robert Pannier recaps the six games from around the American Association. The Game of the Night was a 7-4 victory by the Lincoln Saltdogs, as they used two homers to defeat the Fargo-Moorhead RedHawks. 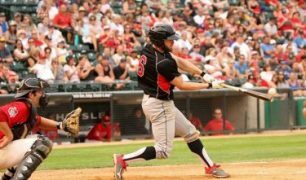 The St. Paul Saints became the first team to sweep the Wichita Wingnuts at home. American Association Daily provides insights and features on the American Association of Professional Baseball League, as well as player and coaching profiles and transactions going on with teams around the league. In today’s edition, Michael Lang proves to be in oddity in the league, returning to the Sioux City Explorers for his fifth straight season and sixth overall with the team.